A true native of Mogok, Mrs. Myint Thet Naing has the local gemstone business running through her blood, with her great-grandfather having been a miner, cutter and dealer in the area. This wealth of knowledge and experience was eventually passed on to her via her father and aunts, who had also distinguished themselves within the local gemstone scene. "Ma Jam" was a fast learner and quickly became adept in the subtle art of imagining the appearance of final cut stones from pieces of rough by orientating them to maximize their color, brilliance, weight and, of course, value. 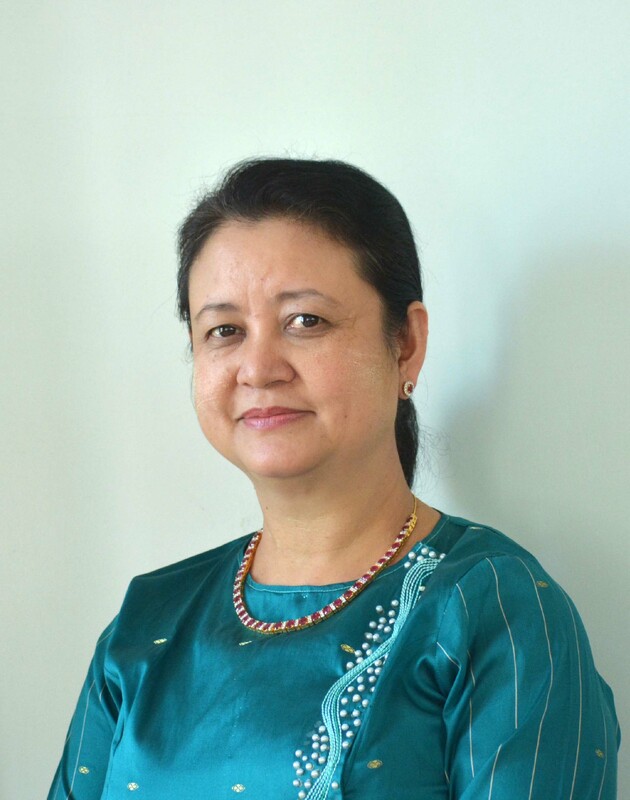 These visual skills were combined with a deep understanding of the world's ever-changing gemstone markets to enable her to become a master buyer and one of the most respected gemstone dealers in Mogok. We are very fortunate that Ma Jam is also very passionate about sharing her vast amounts of accumulated rough-grading and market experience with the next generation of gemstone merchants at AIGS.